2"H in. x 4.5"L in. x 3"W in. Ships from San Diego, CA within 2 business days. 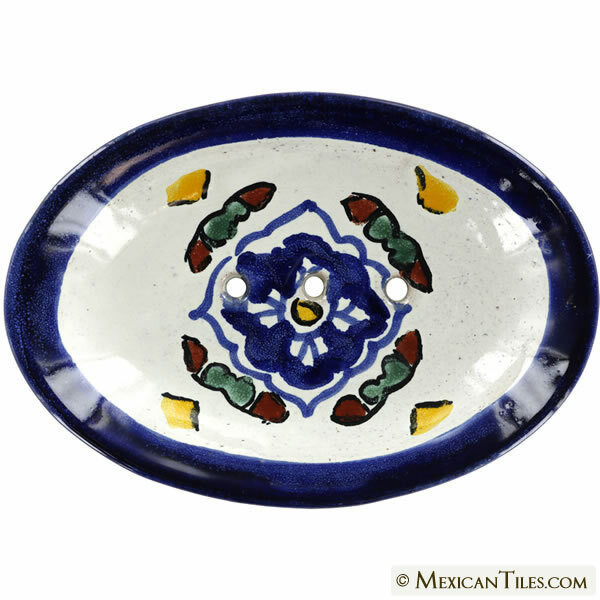 Each of our Mexican talavera Soap Dish is unique and handcrafted. The hand made nature gives it a warm and rustic finish. 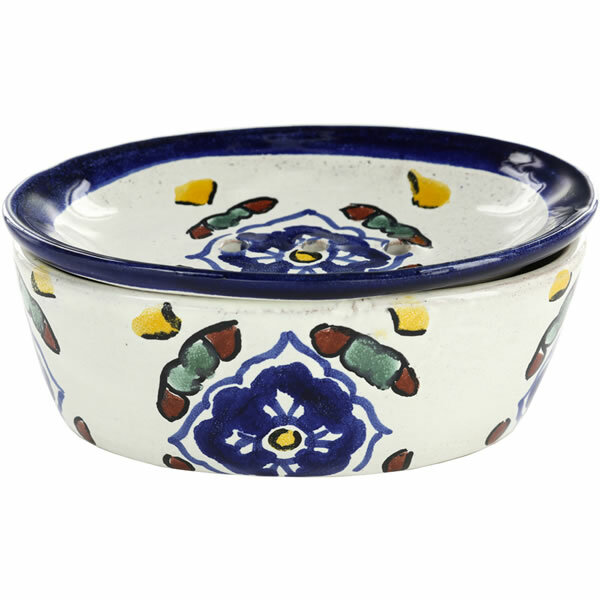 The Soap Dish is glazed and decorated by hand, and fired once again to give it its final and lively finish. Its physical characteristics make Mexican Ceramic Soap Dish particularly attractive and distinctive. Characterized as unique, irregular, functional, and expressive. Size: 2"H in. x 4.5"L in. x 3"W in. Colors and design may vary slightly. Variations in contour and size are standard. Lot variation in size and color may be present from shipment to shipment. There is no guarantee that items ordered as add-ons will match those from the original orders. Select Size 2 x 2 in. 3 x 3 in. 4 x 4 in. 6 x 6 in. 8 x 8 in. 1.25 x 1.25 in. 2 x 4 in. 2 x 6 in. 3 x 6 in. 13 x 13 in. To estimate the number of ceramic tile required for your project with the ceramic tile calculator, you must first determine the total square feet or inches of the area to be tiled. 4. And click on the Calculate Usage button! Disclaimer: This ceramic tile calculator is provided as a courtesy only. All results are estimates and are to be used as such. Mexican Tiles .com cannot be held responsible nor accountable for information derived from the use of this feature. ALL PRICES ARE PER TILE. You may order samples online. Sample must be purchased and shipping charges apply. Please keep in mind sample tiles may vary in color from future orders due to the handmade process. © 2012 - 2019 MexicanTiles.com. All Rights Reserved.